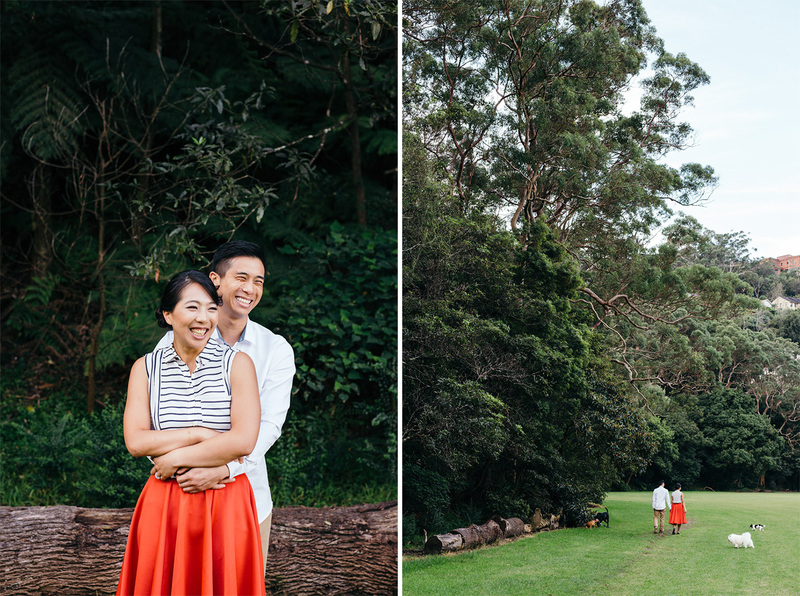 I attended high school at Marist College North Shore. 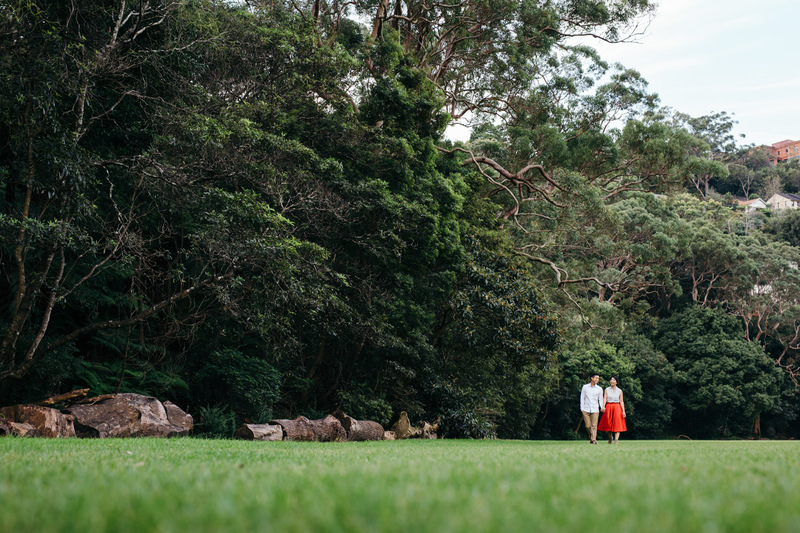 This is going back a little while now, however, in my junior years, I remember coming down to Tunks Park in Cammeray every Thursday afternoon for sport. 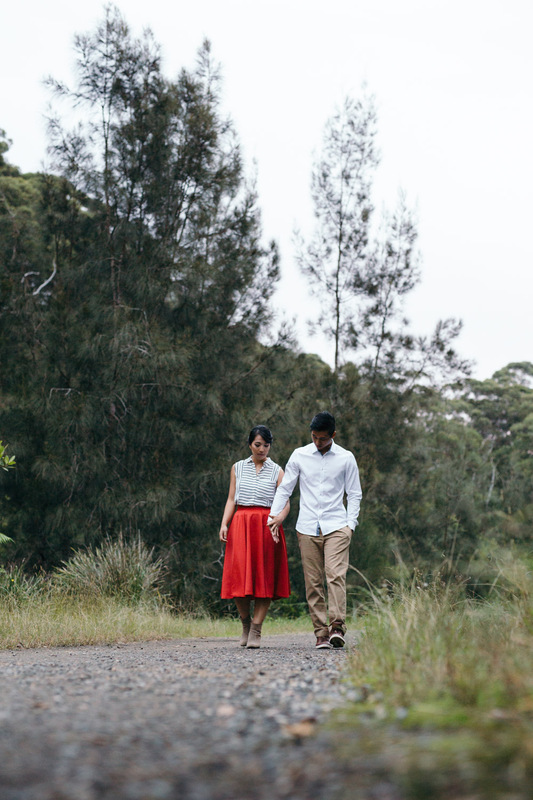 Teachers would set up Touch Footy, Soccer, and a light version of Lacross, amongst other sports for us youngsters. 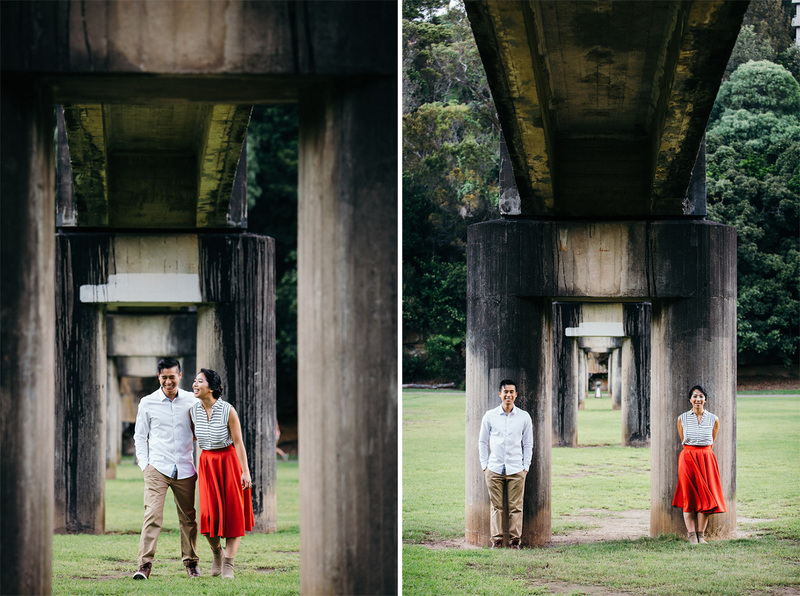 There was this rule where students were not allowed go past a certain point at the rear of Tunks Park else risk getting yelled at. 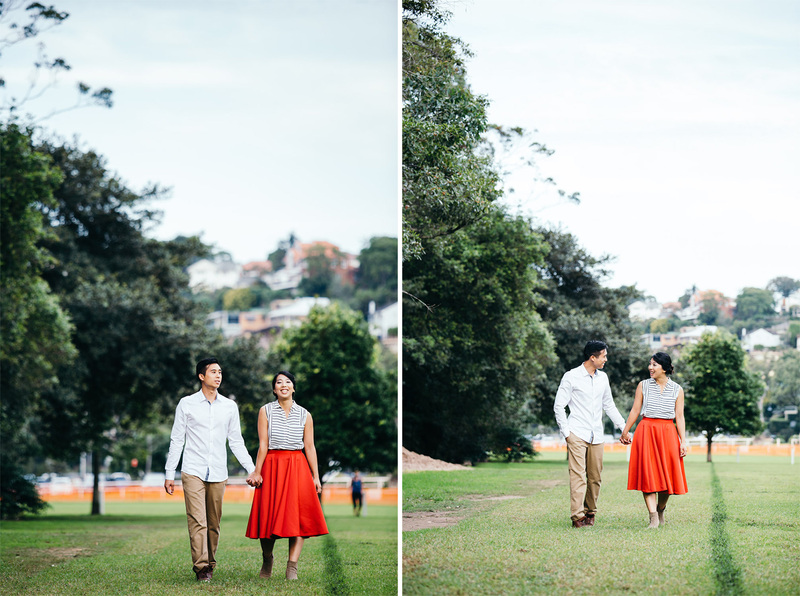 I reminisced these Marist Thursday sports sessions whilst scouting some locations for Mia and Roger’s Cammeray portrait session. 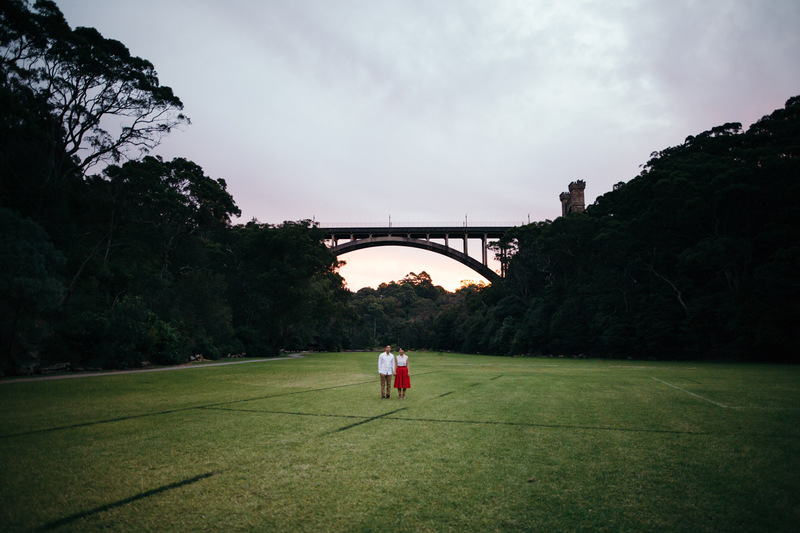 Whilst under the suspension bridge at Tunks Park, I thought I’d take this opportunity to venture past this mystical safety line from the Marist days, so I walked out past the storm water drains and towards what looked like a creek. 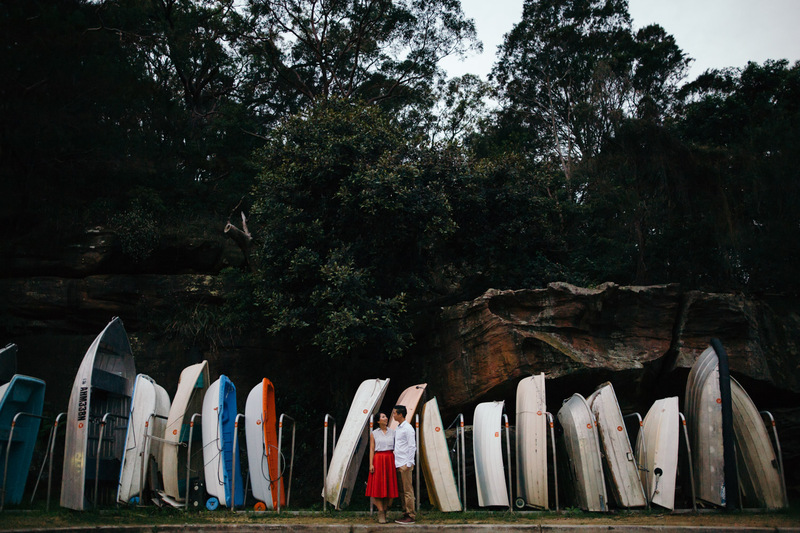 I’m so glad that I ventured out beyond the suspension bridge because there is a whole other world to the open fields and colourful tin boats the comprise Tunks Park. 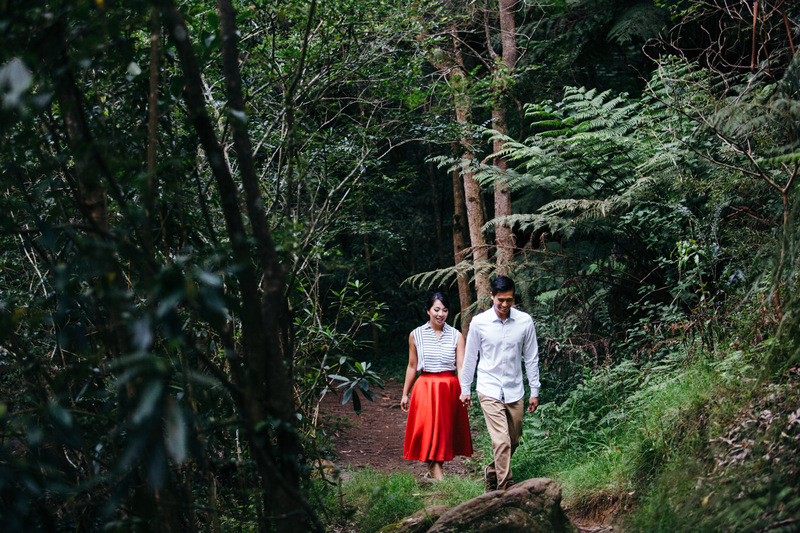 I recommend that you take a walk through the dense natural vegetation at the parks’ rear, along Flat Rock Creek. 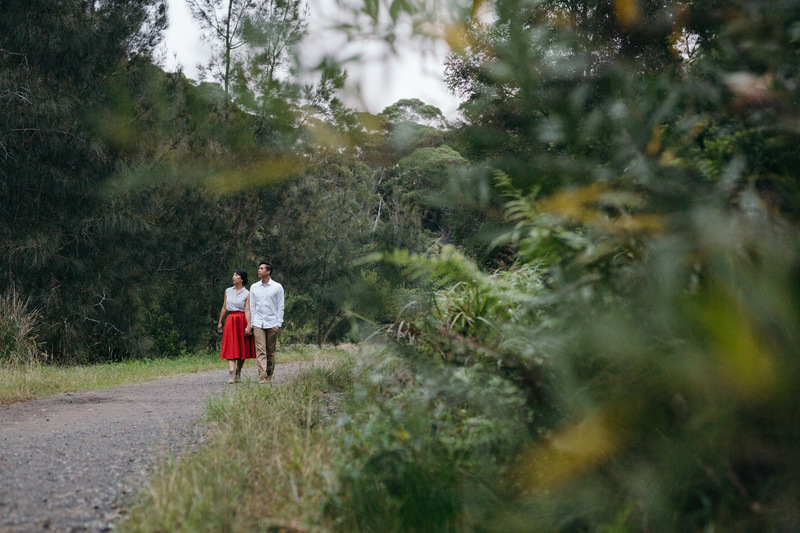 I didn’t end up venturing far, however, the locals tell me that the track goes as far as Willoughby and Chatswood. 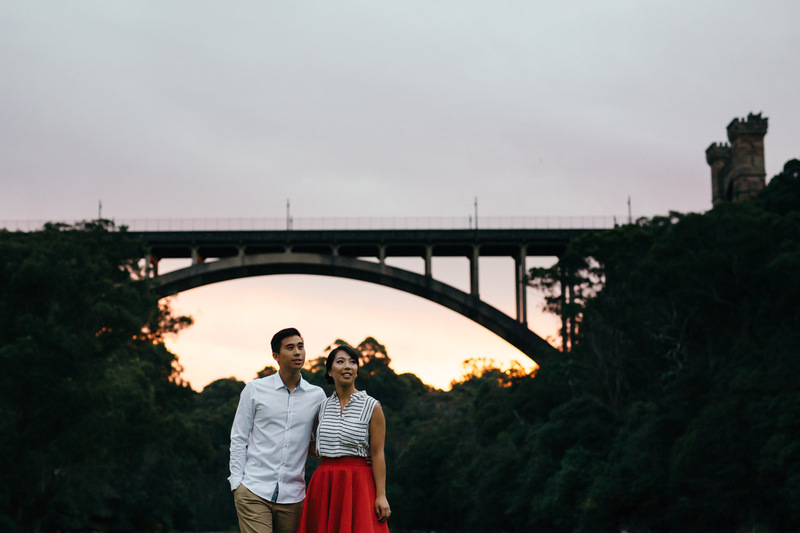 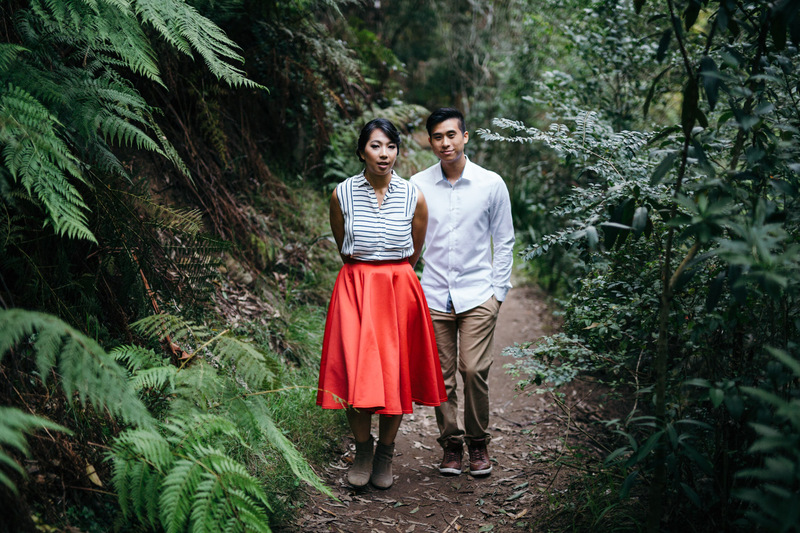 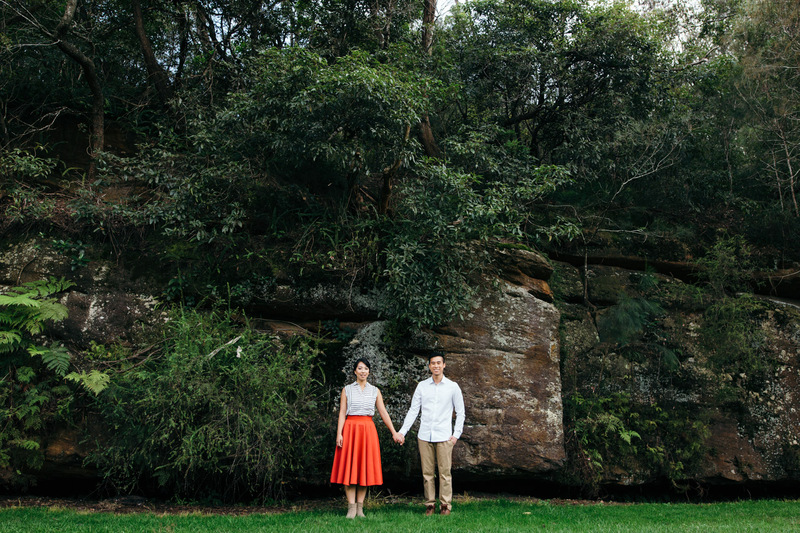 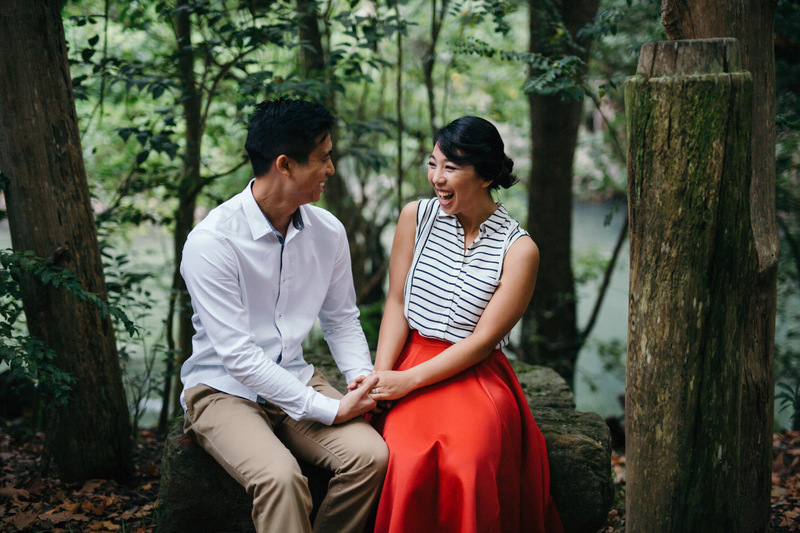 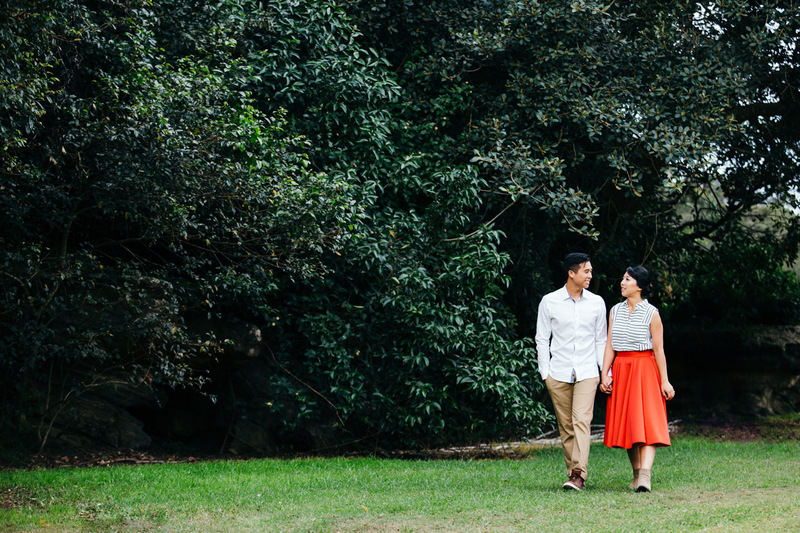 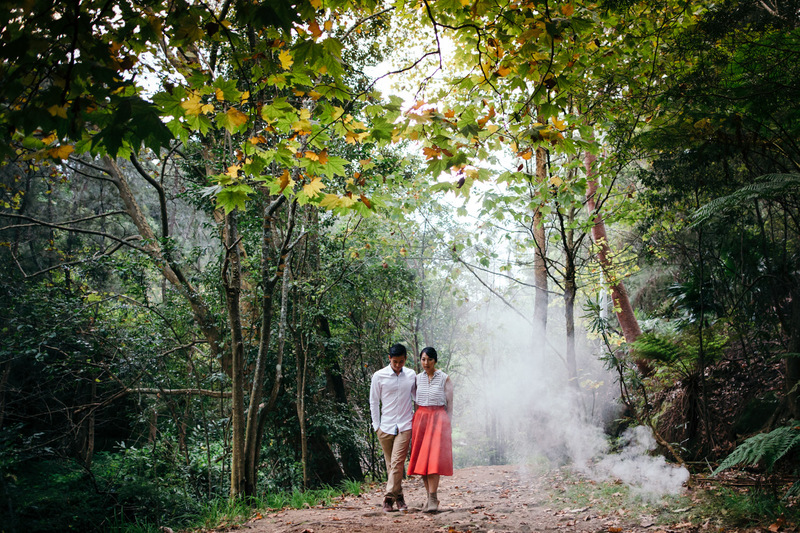 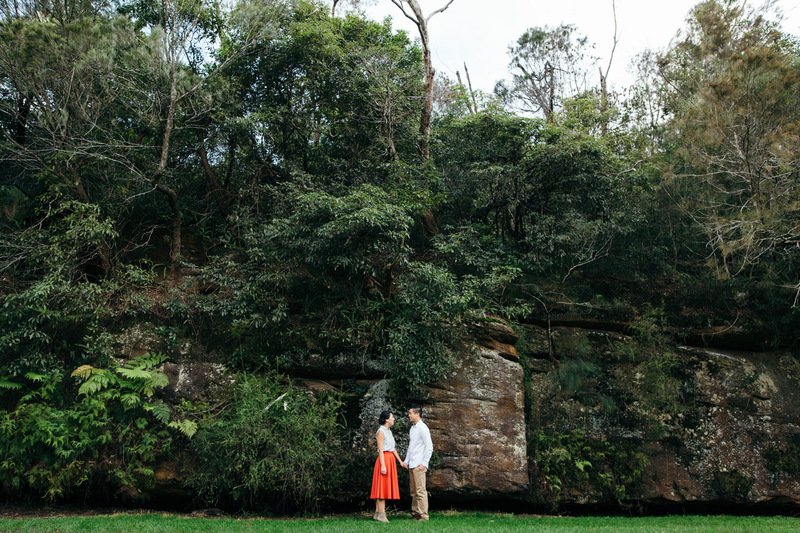 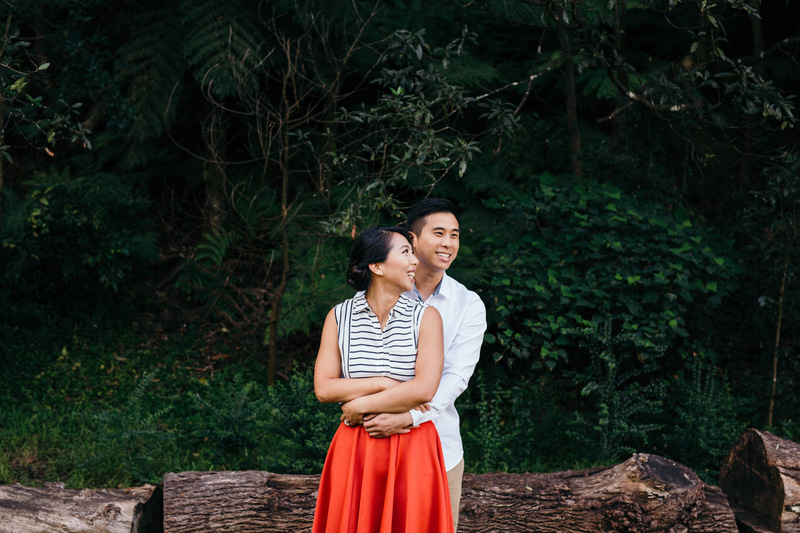 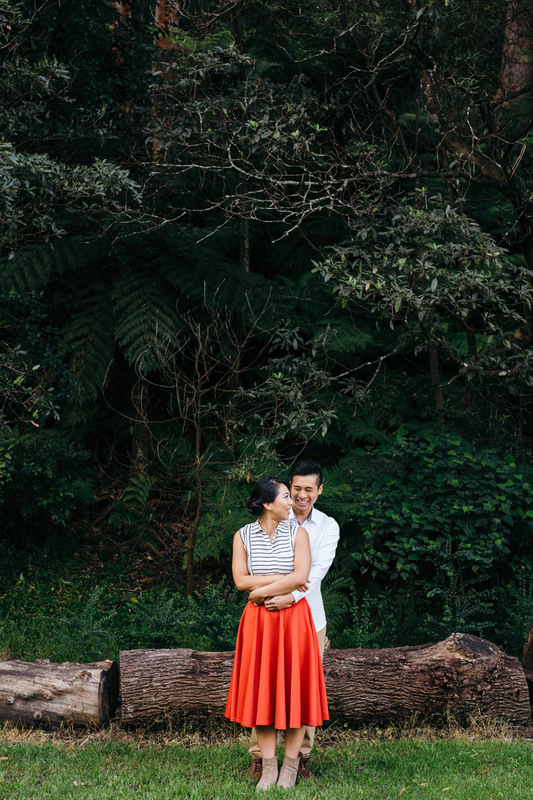 I had loads of fun getting to know Mia and Roger at their Cammeray portrait session. 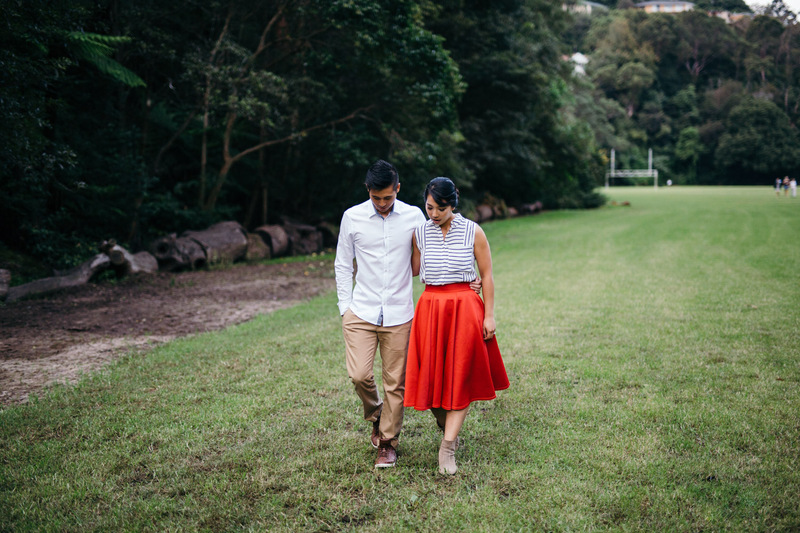 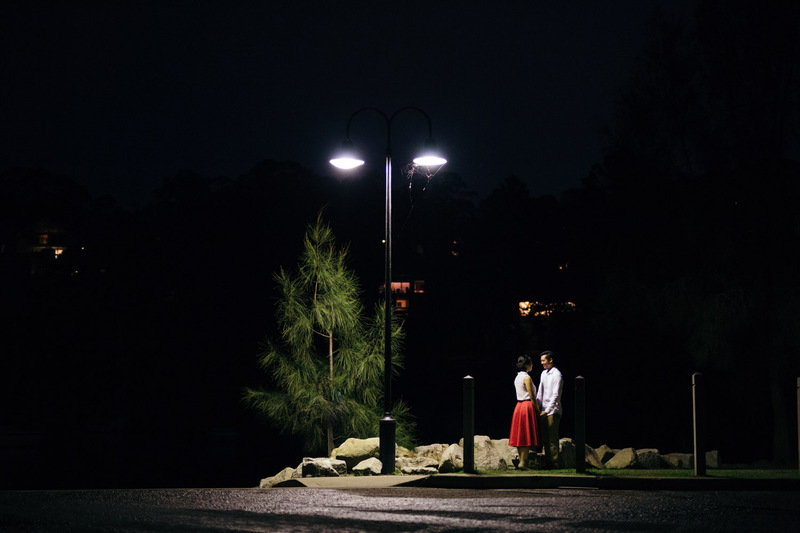 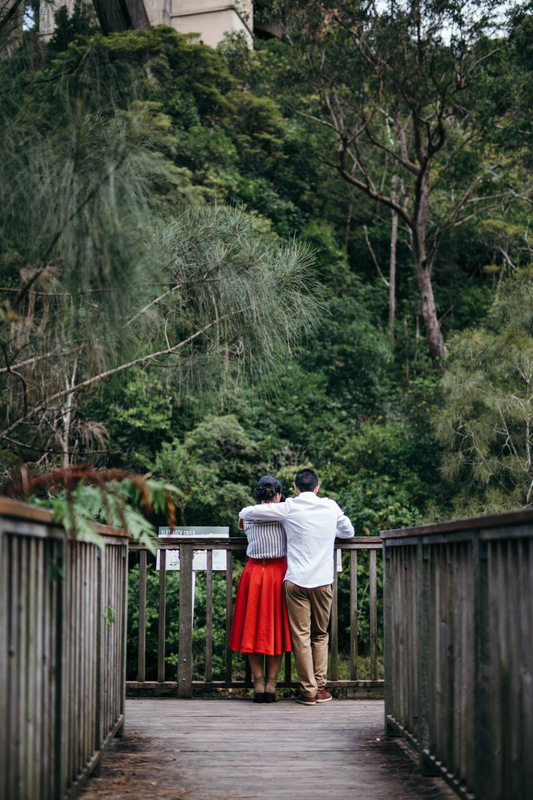 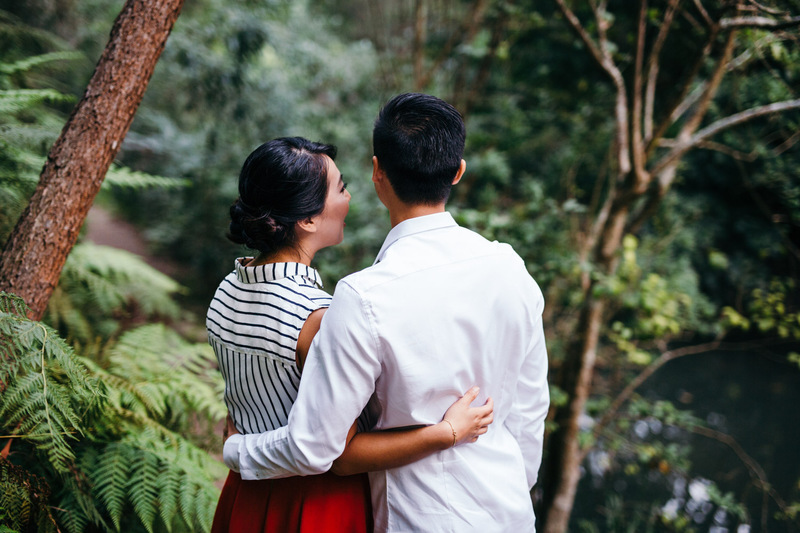 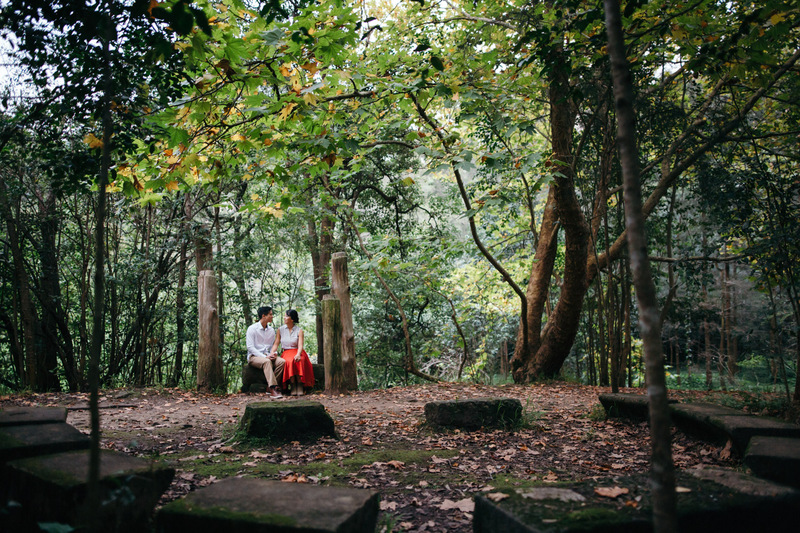 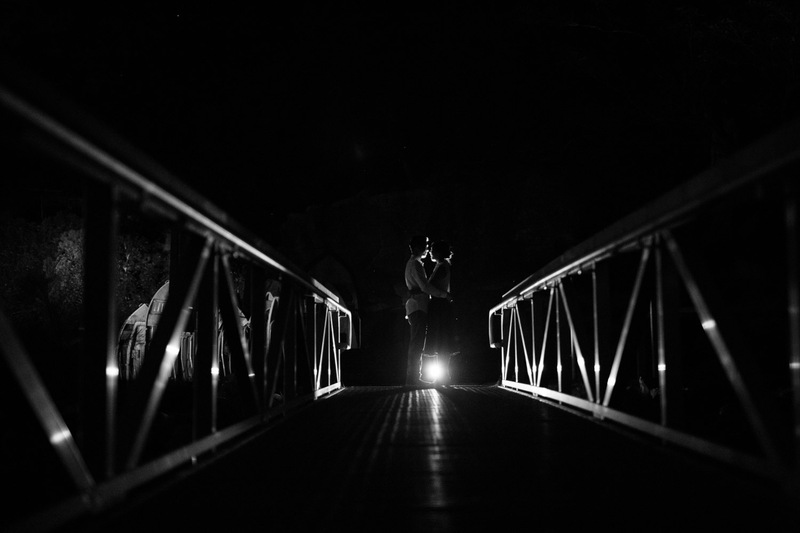 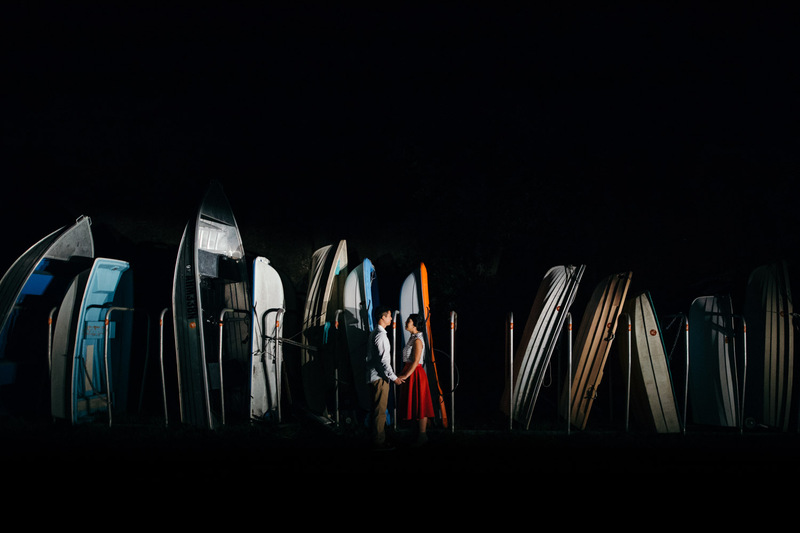 Besides producing photographs that you can use for your wedding stationary, engagement sessions are a great way for photographers to get to know their couples. 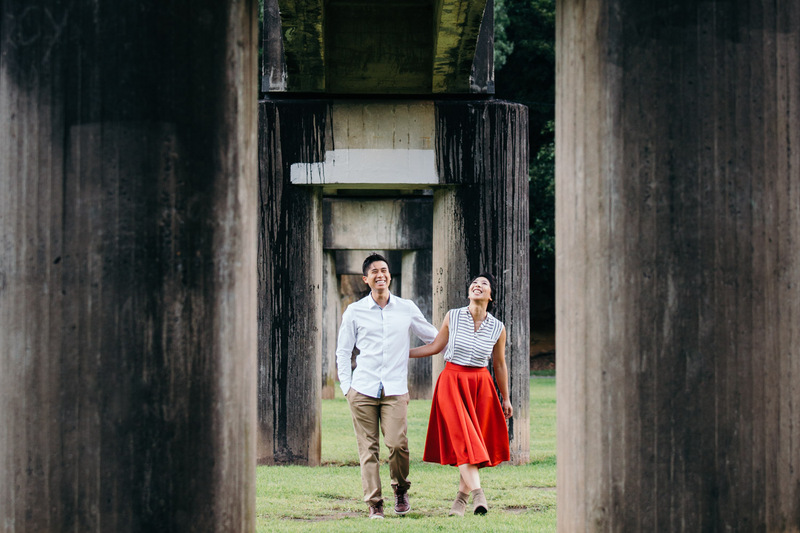 It is also an equally great opportunity for you to get to know your photographer, and how they tell the story of their couples through the photographic medium. 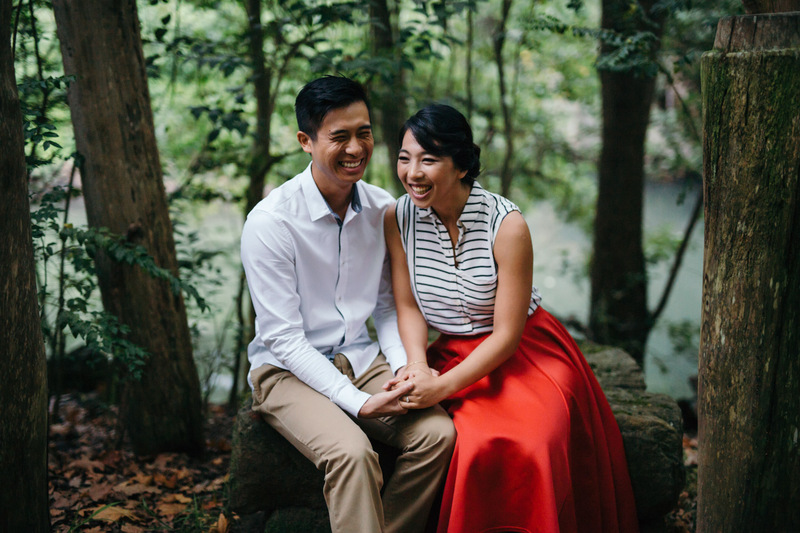 With under a year until they tie-the-knot, Mia and Roger’s excitement levels are building, and I could tell that these two really can’t wait to marry each other. 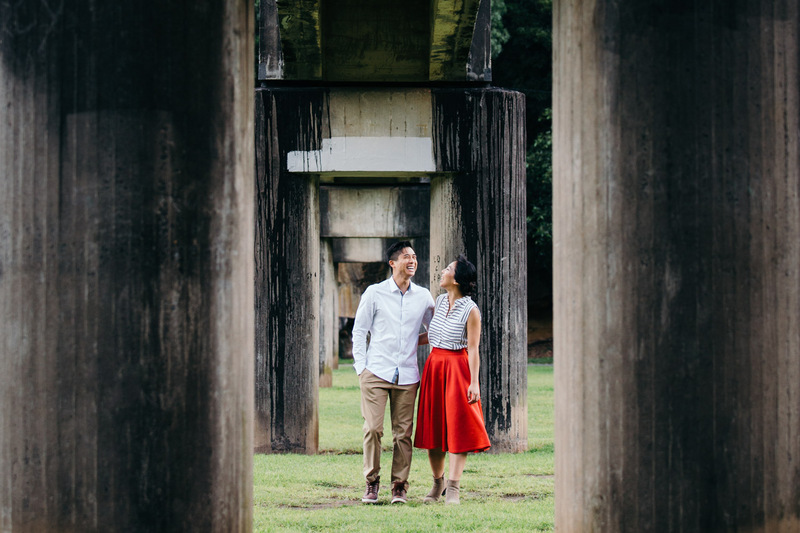 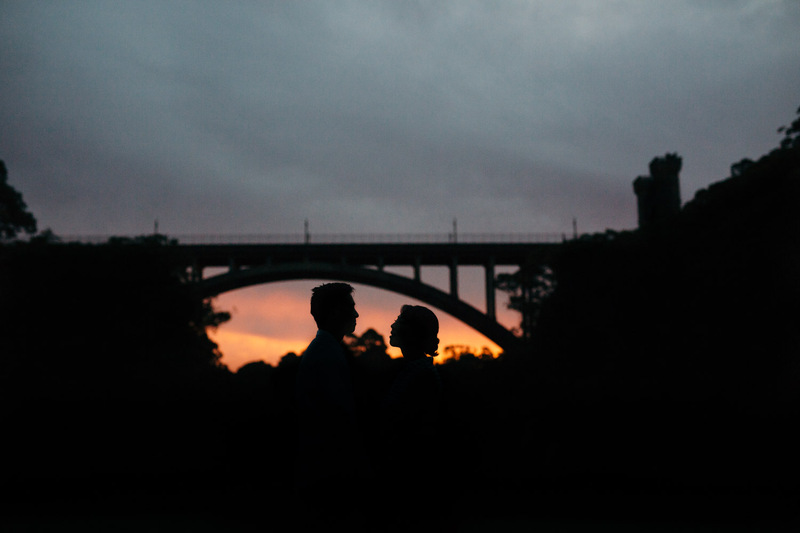 If you’d like some ideas for your upcoming engagement session, feel free to check out other blog posts here, and here. 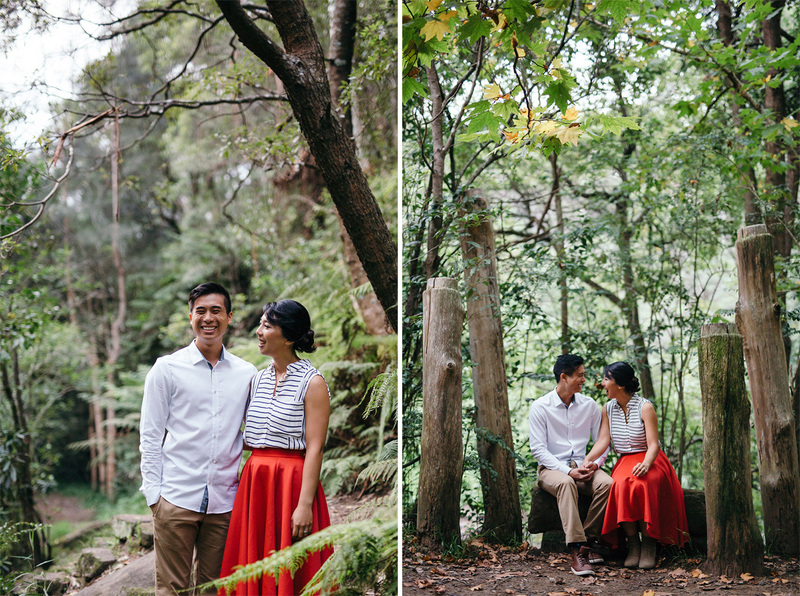 Also, for those couples who have recently become engaged, I offer stand-alone engagement sessions – pricing is available here.